Shipping Dimensions: 10" x 10" x 2"
Kit includes enough materials to make 4 necklaces, or you can make a combination of necklaces and bracelets. Kit consists of plastic needle, faux pearl beads, plastic jewelry clasps, clam shell beads, sea-themed beads, dolphin beads, instructions and assorted coloured ribbons. 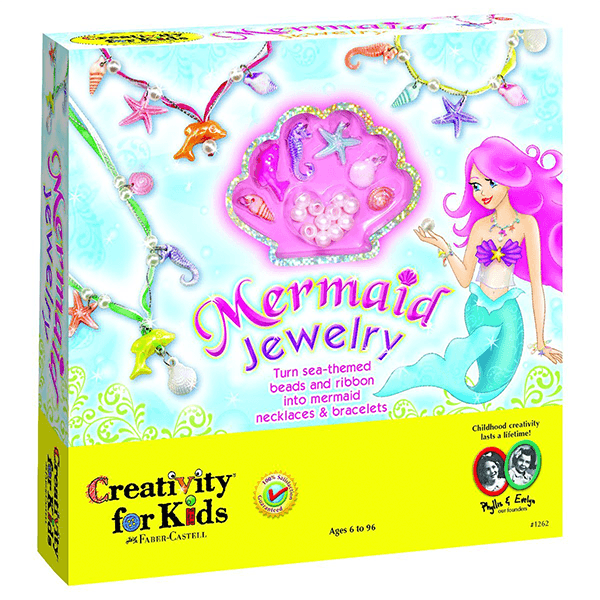 Your favourite little mermaid and friends can turn these treasures of the sea into a delightful jewelry set. Make necklaces and bracelets with colourful sea-themed beads like dolphins, starfish, sea horses, shells and pearl beads. Add delicate ribbon and super-safe, snap-off closures for everyday wear. Your kit includes enough materials to make 4 necklaces, or you can make a combination of necklaces and bracelets. Learn a new craft! This kit includes illustrated instructions that teach you how to string beads and make a long lasting pendant necklace.. 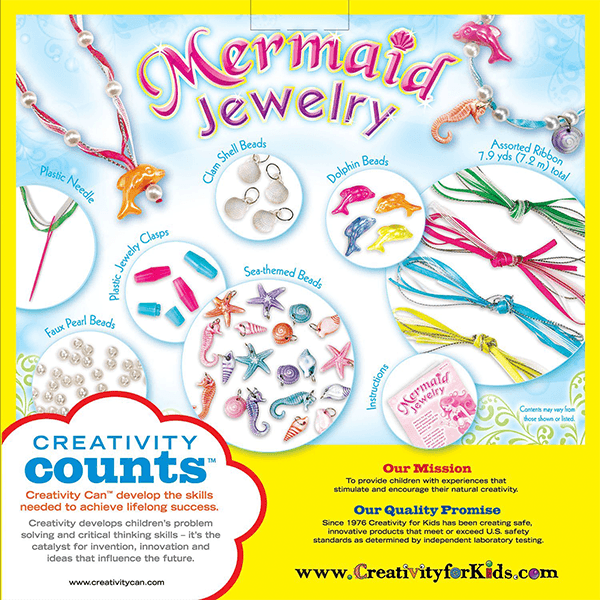 If You Liked Creativity for Kids Mermaid Jewelry Kit, See More Related Products Below!